Over the years, the Northport City Council seemed to draw its character from the rough-and-tumble riverboat crews that made their northernmost landings in that city and blew off steam in its taverns. At times, it didn’t seem like the mayor and city councils of the past accomplished much, but it sure was good theater. The editorial was written after a ambush on a newly elected Council member Judy Hayes. Northport Mayor Bobby Herndon unloaded on City Councilwoman Judy Hayes. The city’s interests would have been better served if Herndon had used the appropriate channels. He’s right to be concerned if council members exceed the authority granted by their offices, and he should be careful to maintain good relations between Northport and Tuscaloosa. The two cities have engaged in too much pointless bickering over hollow rivalries in times past. However, it would have been more appropriate to discuss these issues with Hayes first and to work through the City Council if that failed. Herndon’s apology seemed more aimed at embarrassing Hayes, particularly when it was made in her absence. Instead, Herndon embarrassed his city. 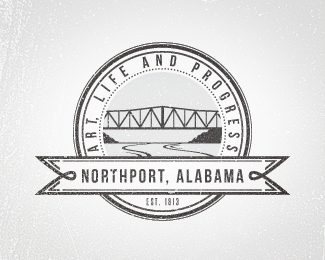 Northport has made progress in recent years. It would be a shame to see the city government revert back to its old ways, entertaining as they were. Mayor Herndon had been the subject of another Tuscaloosa News editorial, after having been fined for an ethics law violation. He also had had federal tax liens amounting to more than a quarter of a million dollars, due to his failure to pay his business’ employment taxes. Herndon was doubtlessly disappointed when, instead of World Heavy Weight Title winner Deontay Wilder, one of his trainers showed up at a Council meeting to receive an award. Wilder had trained in Northport. Wilder may have indeed been too busy to receive the award in person. But there would have been no love lost between Wilder and the City of Northport. Wilder’s father was one of the four Northport employees who were fired by City Administrator Scott Collins. Collins had accused the city employees of stealing pipe that was supposed to be disposed of in the city’s landfill which is run by Cyprus Creek, Inc. Incidentally, Mayor Herndon’s surveying business, Herndon Hicks and Associates, according to Tuscaloosa County Circuit Court records, had an open contract with the Cyprus Creek Landfill Operators. In April 2015 his firm had received a summary judgment against the landfill operators for unpaid bills. Could this be construed as an ethics violation? Reputedly Collins, after becoming City Administrator, had announced at a gathering of employees that he was the “Czar of Northport.” The city under Collins spent $2.6 million renovating its city hall. Also a million dollars was spent on furnishings. In July 2010 nineteen city employees were laid off as a cost cutting measure while nearly $4 million was being spent on the city hall. The money for the city hall renovation ultimately came from a $14.5 million bond issue in October 2009. In 2009 it was reported in The Tuscaloosa News that Northport had a $2 million reserve when the Council and Mayor began their terms in November 2008. Mayor Herndon has repeatedly claimed that the city was three weeks from bankruptcy when he was sworn in. At the time that Herndon began his first term in 2008 his business had a $24,000 IRS payroll tax lien that had been owed since 2001. By the time he began his second term he had accumulated nearly another quarter million dollars in tax liens. The liens were finally paid off in 2013. A common thread that runs between elected officials in Tuscaloosa and Northport is the source of of their campaign funds. Money from PACs run by Mike Echols has gone to politicians in both cities. It has been one of the most significant sources of funding for many Northport Council members and its Mayor. Money from Echol’s PACs in the last election amounted to $5200 out of $10,000 in total contributions to Herndon. Council President Jay Logan received $3000.00 and Council Member Sullivan received $2000.00 from PACs that Echols ran. Mike Echol’s wife is the Executive Director of the Kentuck Association. City Administrator Collins has included three hundred thousand dollars in the City of Northport budget for renovating the Kentuck Arts Center. The building housing the Center is privately owned. Yet the Shirley Place building, which is city property, is in disrepair due to a lack of money. The taxpayer money that in was the Shirley Place Maintenance Trust Fund has not fully been accounted for. The restrooms at the Kentuck Park property that is owned by the city have had a problem with the sewage line for six years and no money has been made available to correct the problem. The restrooms have been closed for large gatherings. Uniting Tuscaloosa and Northport politicians were contributions by Ron Turner as well. Sullivan received $1000.00 from Turner. Turner is a resident of the Virgin Islands yet serves on the DCH Board of Directors. Mayor Herndon and his wife have visited Turner in the Virgin Islands as a port of call from their cruise ship. 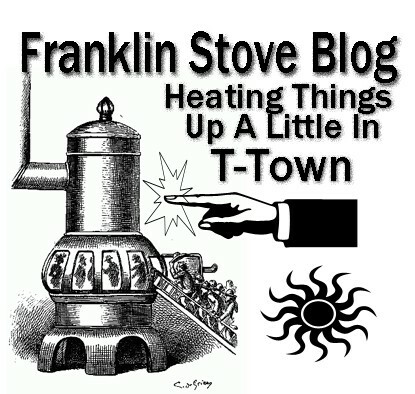 Turner has always supported several Tuscaloosa politicians in the same way. Another DCH Board member is Robert Way, who is a partner with newly appointed District Four Council Member Bert Sims. A significant source of funding for Northport politicians has been its Fire Department’s political action committee. Both Logan and Sullivan received $1,000 each from the NFD Pac. Word is that City Administrator Collins has told the first responders that, if they want a raise and new equipment, that they should support the candidates for the City Council that he backs. Although many police officers and fire department personnel live outside of Northport the money from a political action committee is significant. For that matter, Councilman Sullivan paid at least one police officer to knock on doors and put up his campaign signs so it’s possible that personnel also support candidates by actively campaigning for them. On several occasions meetings have taken place at Northport’s City Hall without the required public notification. One such closed door meeting involving subdivisons for developers was catered by Dreamland Barbeque. Another recent “working session” for the Planning and Zoning Commission had no notification. The Audit for the City of Northport according to state code was to be presented in public to the City Council when minutes were taken. The 2014 Audit was presented at the Pre-Council meeting, where no minutes were taken. The Council members were given a summary sheet. The Audit was approved shortly afterwards by a resolution during the Council meeting. The Mayor, who by law, has the responsibility of appointing an independent auditing firm was not present when the Audit was presented. In less than a week after a working session, in which City Administrator Collins gave a short presentation on the budget for 2016, the budget was voted on. No hearings on the budget or input by departments took place. Northport has been without a Finance Director for 18 months. There are often un-budgeted items which are reported in the Audit, such as the $99,000 that was for expenditures on Shirley Place in 2009-2010. The debt limit for Northport, according to one accountant who looked at the Audit, has been reached. Between October of 2009 and July of 2014 The U.S. Securities and Exchange Commission records show a debt of approximately $50 million in bonds and warrants for Northport. That would be approximately $10 million in debt per year. Other debt includes the cost of leasing fire trucks from Sun Trust Equipment which is $145,000 yearly for ten years. Some people have said that the City of Northport has maxed out its “credit card.” With little oversight from the governing body the taxpayers are at the mercy of the Czar of Northport Scott Collins. → No Longer A Cog In The Machine? ← Crowned by the Machine?